A few weeks ago, I was brimming with excitement writing my pre-trip announcement. I was heading to Europe (where I still am as I type this) with my dearest Zemum in tow. Not only is this a reunion for us as she lives in Manila, and I in Sydney — this is also our first time to travel just us two. 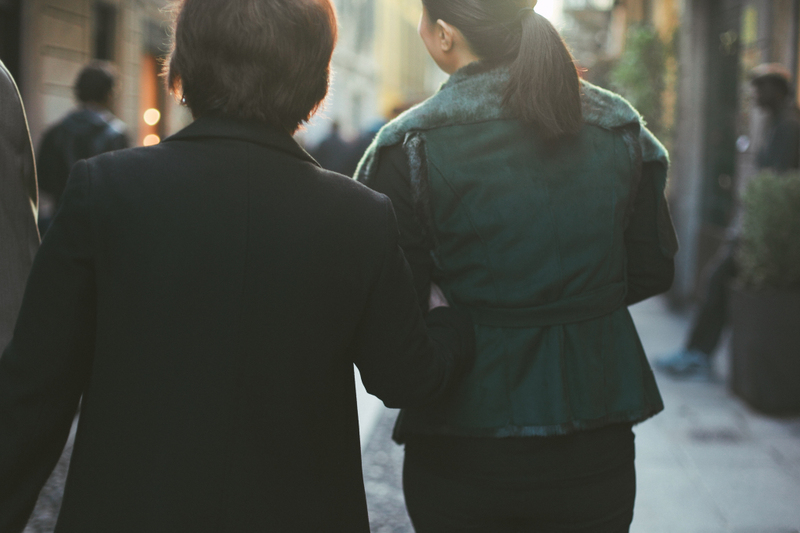 We’ve travelled many times together before when I was still living with my family but dynamics and relations change greatly when you give or take a number of travellers in the equation. However excited we were about this trip , we were presented with a first world problem: Who’s going to take our photographs? I’m not a fan of selfies unless absolutely necessary, and I find it too stressful to keep asking fellow tourists for a cordial “Let-me-take-your-photo-then-you-take-mine” barter. 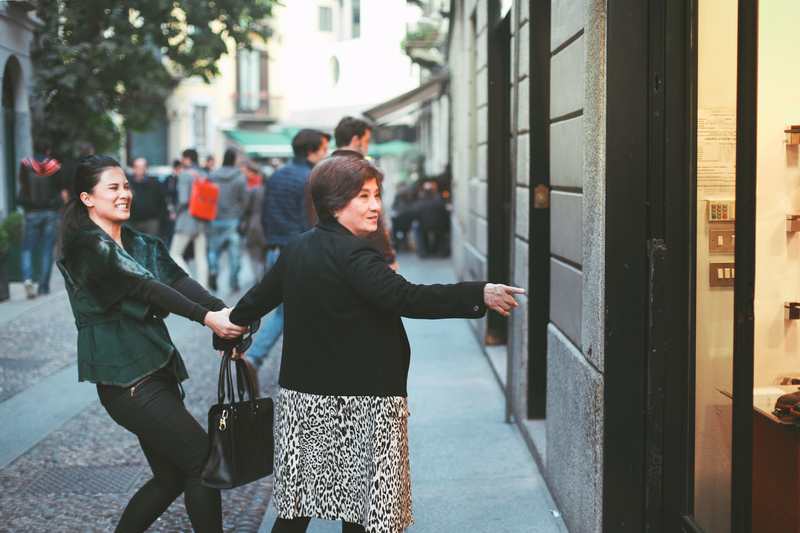 So I was beyond thrilled to find out that Flytographer had a photographer available in Milan, our last stop in Italy. Flytographer is a company that gives themselves a very apt, short and clever description: Vacation Photographers. I agree with Flytographer that memories are the best souvenirs. I rarely buy souvenirs from places I visit. I instead invest in photographs because I cherish memories so much. And yes, even if memories are stored in the mind, it’s still important to have a concrete picture to remind you of all the details. And more than the details, the photographs serve as that box that you open up to remind you of those warm, fuzzy and sunshiney feelings. Flytographer has a photographer in almost every city in the world. So when I booked my flights, I checked all the cities I will be visiting (and they all happened to have a Flytographer photographer too). But we only have spare time in Milan, so I was pleased to find that Flytographer has an available photographer on the dates we will be there. Upon booking and confirming the date and time, Flytographer sent me a sheet called “The Shoot Scoop” which included details of our afternoon shoot. Where, when, what time, the theme of our shoot, and most of all “who”. 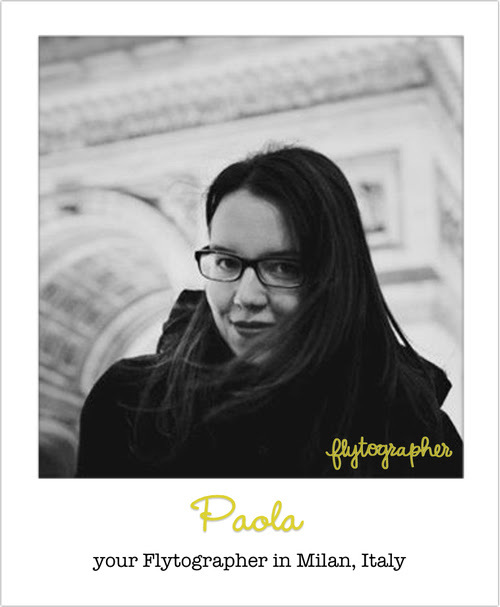 Paola, our fabulous Milan Flytographer photographer! Our shoot was to begin at 4PM , so the meeting time was 3:50PM at the lobby of The Four Seasons Milan where we were staying. At 3:50 I received a friendly SMS from Paola to say she is at the lobby. Soon as my mom and I arrived at the lobby, I spotted Paola right away, all very welcoming with warm smiles. Both my mom and I felt at ease with Paola right away. I absolutely loved Paola’s style of unobtrusive photography. I was initially worried that we would be attracting attention on the streets of Milan, but this was not the case at all. In fact, there were times that we ourselves have momentarily forgotten that we were being photographed. Yes, so much that Zemum kept pointing out to bags and shoes (that she apparently forgot to get) , and kept wanting to sneak inside the shops. This picture sums up our relationship (and personalities) perfectly. My mom definitely knows how to enjoy and indulge. Sometimes just a little bit too much. And she jokes that she was reading Adolf Hitler’s biography when she was pregnant with me. Of course, over the years, we’ve learned to be friends with each other. I reckon it’s important to be friends with your parent when you reach adulthood. As I mentioned on my pre-trip post, when I was in the midst of my angst-ridden adolescent years, Zemum was entering menopause. This was a lethal combination and my dad–bless his soul, must have lost patches of hair during those years. And life always has a way of settling things out. We both grew and are continuing to be better persons. We not only learned to accept, but also celebrate our differences. And while I wouldn’t go as far as saying that we are the best of friends– I really love hanging out with this wonderful woman! It was great to have Paola as our photographer because for one, it didn’t feel like we had a photographer with us at all! 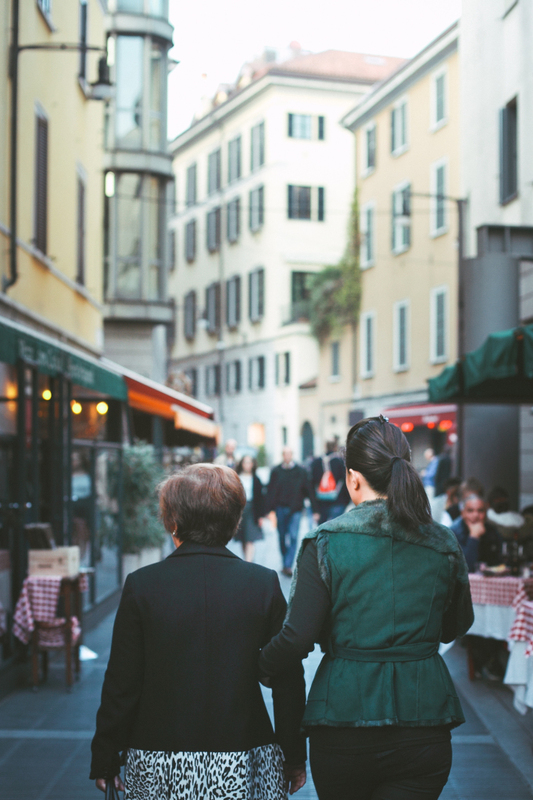 It was like having a local friend walk the streets of Milan with you and giving you an insider’s point of view about where locals hang out and show us places not riddled with tourists. We also got to know Paola more, and when we found out that she was my sister’s age, both Zemum and I were thrilled as we were missing her (my sister) in this trip of course. 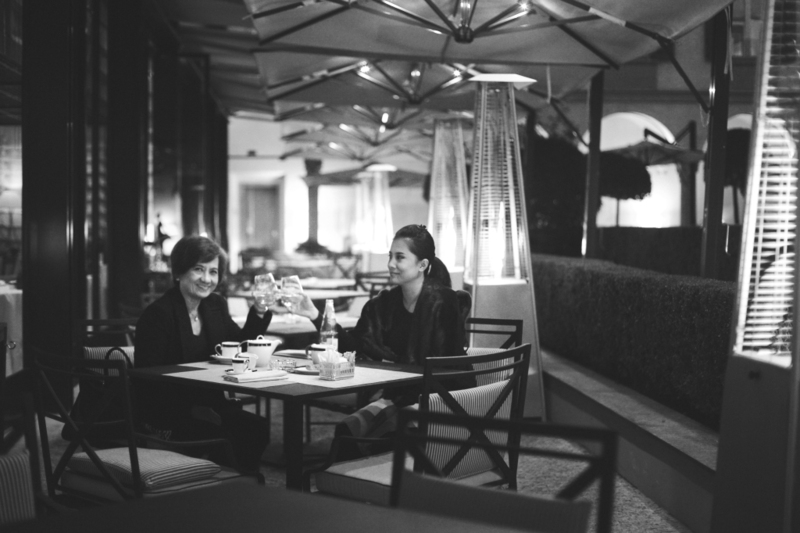 We headed back to the Four Seasons and had coffee with Paola. It was really great getting to know her (and abit about her beautiful cat Pru! ), and we also introduced her to…. *drum roll*…..Hector. Who on earth is Hector? There’s a Jewish Proverb that goes, “What the daughter does, the mother has done”. You see, when Zemum jokes about my “dictator” ways, I think she may subconsciously be referring to herself. She used to be an English teacher long before I was born, and Hector was a student of hers whom she singled out one morning to read in front of the class. Hector looked up from his book, stared at her, and then his eyes rolled back, and he dropped flat on the floor. Poor Hector passed out. Though we never really met him , Hector became a household name in our family (“Don’t wait till Mom does a Hector on you”). I once desperately tried to BS my way out of trouble (“My imaginary friend Hector made me do it”) but this got me double the Hector detention dose. Though I know that I will be travelling with Zemum more often in the future, I don’t really know for certain when will that be. What I know for sure though, is that I have these perfect souvenirs from that lovely afternoon in Milan. 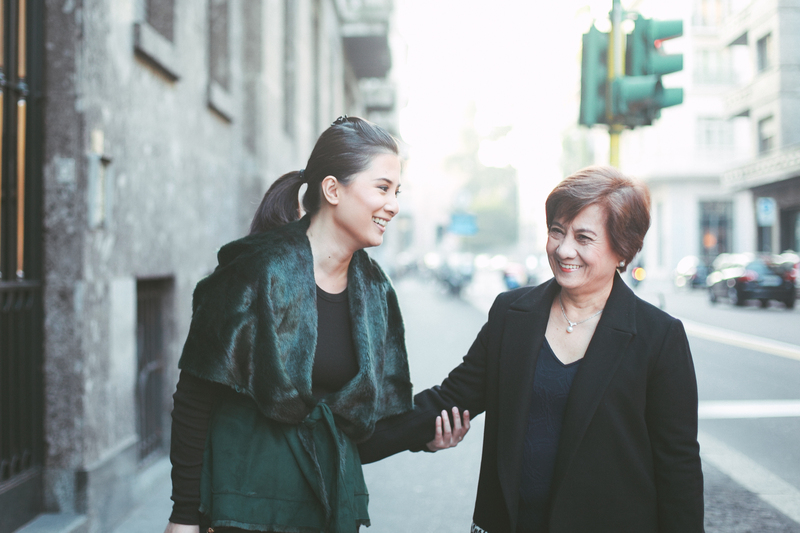 Priceless souvenirs which captured our mother-daughter relationship that no Gucci, Prada, or Hermes bag can ever contain. Travelling soon? Book your Flytographer session. I’m so happy we got the chance to meet and know each other, it was a very beautiful afternoon and I’m so glad you and your mom had great time with me! Hi Paola!! Same with my mother and I, we’re so happy to get to know you. Thanks so much for making our afternoon unforgettable, and moreover to have these priceless photos. My mom already had copies PRINTED 🙂 Because of course, it needs to be on paper haha. Terriric photos… and no bystander could have taken anything like such good shots. This would be a great investment I think, for fab holiday memories. Love the shots of the two of you, you are both big personalities, I can tell! You and your Momma are beautiful, I love that Paola caught your friendship, the cheeky personality traits of the both of you, and they dont look at all posey. You both look fantastic-what lovely memories and she captured a lot in just 30 minutes! I’d love to do this with my daughter someday too! Very lovely pics of you and your mom.